PPG - Auto Renew LLC. 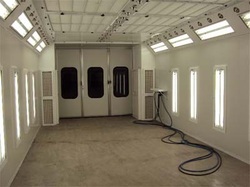 At Auto Renew, we have made a major investment in the finest painting system available and with our waterbase pressurized semi-downdraft booth, we can assure you that we can restore your vehicle to its factory finish. We have such confidence in our paint and our technicians that we back up your paint job with a Lifetime Warranty.